It’s hard to imagine how early writers ever completed and published anything with the tools of their time. Sharp styluses, quills, and rods of graphite wrapped in string were used to write on papyrus, clay, slate, wood, and parchment. But then writing was also limited for the most part to scholars and academics, church leaders, and monarchies… as was reading. Of course, writing has withstood the test of time and is no longer an instrument of a privileged few. Today, everyone writes. It’s a necessity even on the most basic of levels. We write to communicate, educate and inform. You don’t have to be a writer to write but if you are, regardless of if you were dragged, pushed, or went voluntarily, you’ve fallen down the writer’s life rabbit hole. The tips! The advice! The techniques! The best practices! And, the tools of writing, because why we write hasn’t changed. But, the way we write? Most definitely, and it continues to evolve. Some writers will not write one word of their manuscript until they have a full outline, complete with scenes. Still, others grab a cup of coffee, sit down to their laptops and start writing a story. A writer needs to find what works best for them; what bests helps them achieve their goals in their writing journey. Will you use WORD, Scrivener, Quoll, or yWriter? Grammarly, ProWritingAid, Hemingway, or Autocrit? Paid or free versions? Writing group or beta readers? Fan groups? Free Content? Written resources? Mentor? The list is endless and doesn’t even include websites/blogs, newsletters, or social media. Most writers will work their way through these tools and aids until they stumble upon the winning combination. And that’s the important part – what works for you. Not your writing partner; not the guy who just had a bestseller; not the lady who teaches creative writing or your favorite author. Writers often create their own setbacks when they mimic the writing process of someone who’s had recent success and do not get the same results. They believe their work isn’t as good or they’ve done something wrong. And nothing could be farther from the truth. Just as no two people read the same book, no two people write the same book. Even if it’s same genre, same trope (or nonfiction), the writers are different so why expect the same results? Yes, there are rules on the mechanics of writing, but, as I’ve posted before, you can get away with occasionally breaking some of them. But how you do it is completely up to you. Thanks for hanging out with me during July 2018 CampNaNoWriMo. I learn something every time I start a new project and Sins of the Mother has turned into a major education. I’ll wrap up tomorrow so, for now, here’s one last excerpt from Sins of the Mother. Sally tried to relax as she sat on the tailgate of the ambulance. The paramedic who’d introduced herself as Ruby, frowned while taking Sally’s blood pressure. Three feet from the front door she froze in her tracks and Officer Holland felt her body trembling. Several minutes passed before Sally responded, staring at the front door. Allowing her to set the pace, Officer Holland entered the home behind Sally. She was floored by all the activity. Sally had only seen the Ramirez home in the muted and subdued lighting required by Graciela’s vision problems. Now, every room light and lamp appeared to be on. People moved around rooms, drawing on notepads and taking pictures. She entered the hallway, finding it also full with members of law enforcement. However, all eyes focused on Sally and moved to the side, allowing her to pass. Making sure Officer Holland was right behind her, Sally headed for the guest bedroom. Sally swiped a hand over her ear as the buzzing returned. The hallway appeared to stretch out in front of her, making it take twice as long to cover the short distance. As she passed Graciela’s room, Sally’s stomach rumbled and she pursed her lips staving off another wave of nausea. A flash of light from inside Graciela’s bedroom caught her attention and before Sally could stop herself, she turned and looked inside. Her attacker’s body still lay on the floor at the foot of Graciela’s bed surrounded by the coroner and his staff. Sally’s view was obscured by the crowd and all she could see was his head. His face was turned away from her as more photos were taken to identify him. She looked at the thick, wavy chestnut hair with fine strands of gray and a sense of familiarity returned. She pulled from his grasp. “I have to,” and before anyone could stop her, Sally Bennett pushed her way through the crowd and stared down at the dead man. The buzzing in her head roared. She opened her mouth to scream but there was no sound. Crime scene techs tried to cover the assailant’s face, but it was too late. Brian Holland strode through the crowd trying to get to his charge, but Sally backed away into the corner. The boiling bile in her gut would no longer be denied and erupted from her as she turned and faced the wall. Sally slumped to the floor clawing at her chest and the burn left by the offensive acid. Officer Holland tried to help her up but she scooted away… toward the still body. The small crowd looked on in confusion and horror as Sally stroked the dead man’s hair. Her voice returned and mournful, pitiful wails filled the room. Sally’s mind snapped and surrendered to the comfort of the darkness as she stared into the lifeless eyes of her husband, Frankie Bennett. It’s ironic I crossed the fifty-thousand-word mark before the end of the challenge when it wasn’t my goal. Remember, my project was to add 30K to an existing WIP. Which now means… I have too many w-o-r-d-s. The first draft edit will be epic. Darlings will be killed… or at least removed, to be reincarnated as blurbs and teasers somewhere down the line. Time for another unedited excerpt from Sins of the Mother. Exhausted and annoyed, Sally Bennett wanted answers. Two hours after fighting a masked attacker for her life, three different detectives approached her three different times asking the same questions. But no one would answer her questions. How did he get inside the Ramirez home? She understood they had a job to do but it didn’t annoy her any less. Sally was comforted knowing Graciela was safe. She interrupted the attack on Graciela before the intruder could do any real harm, but at Sally’s urging, the gutsy senior citizen allowed paramedics to take her to the emergency room at the hospital where Estelle worked. Her adrenaline rush gone, Sally sat like a leaden weight on neighbor Nina Arrens’ sofa wrapped in a blanket. The kind woman who’d pulled Sally and Graciela inside her home misread Sally’s earlier shivers for cold instead of fear and had been trying to keep her warm ever since. Two of Sally’s interrogators stood near the door taking furtive glances in her direction as they spoke. The embers of anger smoldered in Sally’s chest. Calm down, Bennett. This is the job they do every day. But violence in her life was something new to Sally and she didn’t appreciate being treated as though she did something wrong. She wanted to go home. No, that wasn’t true. Frankie was away and she’d be alone with her thoughts at home. 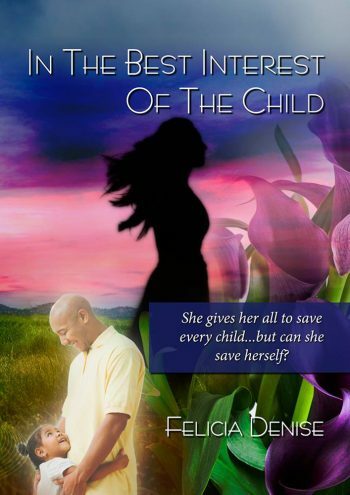 She needed her husband, or one of her children, or at least one familiar face who knew her before the worst day of her life began. A third detective joined the two watching her. Sally didn’t recognize him, but he also stared at her while trying to act like he wasn’t. Her jaws tightened as her anger grew. He walked toward her, taking a pad and pen from his jacket pocket. She smirked at his surprised reaction. Sally knew she was being rude, but her frazzled nerves were at the breaking point. He sat down on the sofa next to her, resting his elbows on his knees. His apology did nothing to calm her. “Me? What’s this got to do with -” She froze, realizing what he meant. Det. Marks considered her before continuing. Sally let the blanket fall from her shoulders as she scrubbed her hands over her face. Confusion wasn’t mixing well with her fatigue. Her mouth gaped open at the thought. No, it wasn’t possible. He made a few quick notes. Sally bit her lip lost in thought, trying to figure out the connections. He glanced at his notes again before beginning. “Estelle Ramirez made the eye surgery appointment for her mom twelve days ago. She also put in a request for the week off from her job the same day. Marks was silent for several minutes, adding to his notes before continuing. Gavin Marks rubbed his brow, mulling over these new details. He signaled to a uniformed officer in the foyer. The large African-American man walked over standing next to Gavin Marks, acknowledging Sally with a nod. Just as writers have their own style and/or voice, while writing there is generally a routine that falls into play. Struggling with the opening line and first page. This is pretty much standard. It’s not uncommon for the first page/chapter to go through the greatest number of rewrites. Building the connection—or lack of—between the protagonist/antagonist or Hero/heroine. It may not be at the very beginning, but still a must. Introducing supporting characters. This is where it gets dicey for me. I have family members and friends, coworkers and pass-through characters, each serving a purpose in a scene or chapter. But characters I do not know begin to appear. I’ve gotten used to it. I used to wonder how I could do so much planning and layout scenes and not know this person. Now I just go with it. They get to stay at least until the first draft is done, then we’ll see. I validated my project on July 20th and completed the story a week later. However, I’m still writing, making tweaks here and there, altering dialogue and sequence, and making notes for the first rewrite… sometime in the future. So imagine my surprise when TWO senior citizens show up adding to the story, and the woman is downright rude and obnoxious. Back it up, grandma! I’ve fallen and can’t get up is a real thing. But, even though she’s annoying, and I wanted to send her to a home for mean, old biddies, grandma threw a plot twist spanning sixty years on the table and I couldn’t breathe. So, now I have to go back and do a bit of foreshadowing… and let grandma stay. Gramps? I have no clue. He’s just sitting over on the sidelines, nodding and smiling. Not sure I even want to hear what he has to say. Though still weeks away from even beginning the first draft, book promotion has begun. I agree, but it can take just as much time deciding on book covers, images, and graphics as it does to write the book. However, by getting a head start, I could be setting myself up for an epic fail… if my finished manuscript is not relative to the cover and graphics I’ve chosen. I would have to go through the entire process again, thus delaying the book’s publication. Trust me, I don’t need any help delaying publication. So I’ve chosen several cover ‘concepts,” four to be exact. I prefer one over the other three but am not sure it conveys the tone of the book. After a recent critique of one of my Amazon sales pages, I’m giving the tone of the cover and more attention. Not if it’s just aesthetically pleasing or eye-catching. Not if the colors pop or if the overall package will entice a potential reader to take a closer look. But, if they take that closer look, does the cover convey the overall tone of the story inside? I took out the last twenty-five books I’ve read and rated them on the relationship between cover and content. Incredibly, I only found nine to truly convey the tone of the story I’d read. Four I considered generic genre covers and another four could have been on any book, without regard to genre. The eight remaining books? I had issues with them long before I thought about writing this post. Cover models bared no resemblance to key characters… none. The cover depicted a scene which either didn’t appear in the story or wasn’t adequately described. Stock cover photo used without enhancements which has appeared on dozens of other books… without enhancements. I took it a step further and found one of the covers on five other books on my Kindle. I don’t even want to think about how many other covers it graces in my cloud reader. The tone of the cover and content were not in sync. I’m not knocking stock covers. Book covers can be pricey and combined with editing, the costs can easily approach the two-thousand-dollar range. While this completely unscientific, wholly biased experiment is relative to me and what I like or look for in a cover, it does make me wonder what other authors consider when choosing covers and what exactly readers [as a whole] are looking for or expecting. To some, the cover is simply the attraction—I’ve got your attention now check out my amazing new book—I get that. But when the cover and content are in sync the reader gets a memorable experience which could lead them to recommend your books to others. For me, a good example is J.F. Kirwan’s Nadia Laksheva Spy Thriller Series. It has spies, international intrigue, espionage, counter-espionage, suspense, locations all over the world, conspiracies, life and death situations… just an all-around fantastic five-star series. The cover artist (whom I do not know) captured story tone, story locations and even scenes in each of the covers. When I look at the covers, the story… and all the danger and suspense come back clear as a bell. To me, covers like this make a story shine. I have no clue where my story will take me after the first draft but if I can match the finished manuscript with a cover as awesome as these, I’ll be a happy camper. In a perfect world, we learn from our mistakes and do not repeat them. We make minor adjustments, or even worse, make no adjustments, and hope for a better outcome. We’re shocked when that doesn’t happen. Denial is more than just a river in Egypt. But sometimes, we stumble across something that while it may not change the world, it makes our world a little brighter and easier to navigate. Reaching out to new people. This is never easy and not something I do regularly because honestly, people are strange. (And I do not exclude myself from that.) Not every connection made will be positive or lasting, but kissing a few frogs is worth it when you end up with people who become a regular part of your day, and even better, understand and share your writer’s journey. I’m adding these items to the plus column and even if I don’t use them every day, November NaNoWriMo is just around the corner! This ain’t my first rodeo. And while I’ve always roped the calf, this is the first time I’ve done it in record time! Okay, no more rodeo references. I validated my Camp NaNo word count on July 20th—which means I met my goal—but the book wasn’t done. July 2018 Camp NaNoWriMo is the first time I’ve COMPLETED THE BOOK DURING THE CHALLENGE! Check out the scene board! As a pantser, it hasn’t been easy finding an outline/planning method that worked for me. I’ve tried several, and while they all had their good points, I disconnected with some aspect of each of them which hindered the process. Story-boarding is not a new concept but for this challenge, I followed a planning tool from Alexandra Sokoloff’s Screenwriting Tricks for Authors, specifically, the post on NaNoWriMo Prep: The Index Card Method and Structure Grid. At first glance, the method looked involved and like more work than I wanted to be bothered with. I was wrong. Once I knew my early scenes, the method actually helped me map out the rest. I started out with index cards but soon realized before I finished with the set-up; it was labor-intensive. I prefer using Post-It Notes because it’s faster and… this is very important…. You can move scenes around! This was a time-saver. Making adjustments on the board to get the right flow meant less time spent writing and re-writing. Sokoloff’s method also helps with chronology and continuity. Like many writers, I don’t write chronologically, but seeing the story in-sequence while writing helps me not lose focus and or be redundant. Or lose entire scenes altogether because… it’s happened. If you’re searching for a prep method, give this one a try. You’ve got nothing to lose and you may even score a win like me. Twice. Writers often joke about being introverts or having social anxiety. We squirrel ourselves away in writing caves and libraries, or our favorite coffee shops. We keep our heads down, avoiding eye contact. Some do experience anxiety and avoid interaction with other living breathing humans, but most of us are focused on the stream of consciousness in our heads—collaborating… and compromising with fictional characters. We fine tune plots and build worlds; consider book covers and promotional teasers and are usually fighting off the urge to begin that next book. However, no matter how deep we dig in, it is necessary we raise our heads and invite the real world in. Earlier this month I mentioned building a support network—finding your tribe, and the best thing about Camp NaNoWriMo/NaNoWriMo is it comes with a tribe built in ready to help make your writing challenge a success. From the websites to every social media site/app, NaNo is there with writing sprints, virtual write-ins, and pep talks from counselors. There are videos on YouTube and Instagram. You’ll find a calendar of events for the month prominently posted on the website, as well as the mighty NaNo forums. You can stop by Facebook for updates and current news, Twitter to participate in a writing sprint or follow NaNo on Pinterest. With resources and support like this, it’s obvious NaNo wants writers to succeed, especially with it all being free of charge! Before 2018 ends, NaNoWriMo will launch its new website to provide their amazing writer support year-round. So, as writers build personal networks, NaNoWriMo will be there to give support and let us know while writing is a solitary endeavor, we’re never alone. Two days ago, I was drowning in confusion and doubt. Okay. That’s not an unusual thing for me, but in this instance, it was over the direction of my Camp NaNo project, Sins of the Mother. I switch up this morning and now I’m staring at my scene board. I move Post-its Notes around, trying to get a better flow and I hummed. Still not out of character. But, it’s what I’m singing that makes me laugh out loud… after I finish, of course. Thinks he can move that rubber tree plant? Move a rubber tree plant. Oops, there goes another rubber tree plant. After a good laugh at myself, I sat down and wrote seventeen-hundred words. Flash fiction: 500 words or less. Some writers only write one length, meaning everything they write is always over 40K, or less than 10K, etc. It can also depend on genre and content. But, that’s if you’re planning a certain type of book. What if you set out to write 75, 000 words but only get to 36,000, did you fail? Perhaps you were overzealous in estimating book length, or, you haven’t gone deep to flesh out and develop characters or plot. I have a Camp NaNo buddy who’s having a meltdown as we begin counting down the last week of Camp NaNoWriMo. She pledged to write a book 65K in length, but she’s written all of her planned twenty-six scenes/chapters and has only reached 48K. The beauty of Camp NaNo is you can adjust your words/pages/hours. When I suggested she do this, her meltdown intensified. So, I took the opposite approach and told her to get busy writing because the missing 17K wasn’t going to write itself. She insists she’s told the story she intended to tell. So. What’s the problem here? Books are the products of imagination and research but they’re not rocket science. We’ve all read the book we wished was longer, just as we’ve read that book which went on and on and because laborious. Editing can solve most of these problems if writers allow it. If an editor advises cutting out characters/scenes/chapters and the writer balks, there isn’t much the editor can do. There is no literary death match between writers and editors. Writers must be ready to kill their darlings to publish the best book possible, and sometimes that also means adjusting our mindsets… and word counts. Because everyone knows the first draft is crap anyway.